The Scottish Album of the Year (SAY) Award celebrates artistic endeavor with the announcement of this year’s 20 Longlisted albums. A panel of 100 expert nominators were asked to vote for their favourite new releases, with the results unveiled tonight by broadcaster and journalist Nicola Meighan at an exclusive gig at Glasgow’s King Tut’s Wah Wah Hut. The Longlist recognises artistic achievement across a wide range of contemporary music genres and provides a snapshot of the incredible depth and resonance of music being made by artists living and working in Scotland. Now in its seventh year, The SAY Award is Scotland’s most popular and prestigious music prize. The winning artist will pick up a £20,000 prize – provided by long-term Award partner Creative Scotland – with the nine runners-up each receiving £1,000. “The SAY Award is one of the biggest nights of the year in the Scottish music calendar and we are delighted to welcome the prestigious event back to Paisley for a third time. “Hosting an event such as this has helped establish Paisley as a key destination on Scotland’s major events map, whilst celebrating the town’s rich musical heritage and thriving music scene. “The SAY Award has always shone a high-profile spotlight on new artists, providing career-changing moments for past winners such as Kathryn Joseph and Young Fathers. It is encouraging to see so many debut and second albums on this year’s list – a recognition of the fantastic new generation of talent that’s pouring out of Scotland. This award is also a vindication for independent and grassroots labels whose releases continue to overshadow the majors when it comes to sheer quality of music “. “Harviestoun are incredibly excited to be joining the SAY Award this year as a partner, supporting the very best talent in the Scottish music scene. As a proudly independent Scottish brewer who constantly experiment in pursuit of the perfect beer, using our roots as our inspiration and ingredients, we are thrilled to team up with an award with similar values to our own, which offers a remarkable opportunity for creative talent across a broad spectrum to flourish in the music industry. “Helping to give back to the artists who have put so much time and effort into creating such strong output is something that we at PPL are extremely passionate about. It is wonderful to celebrate a rich and diverse Longlist which provides a platform for both emerging and established artists to further their careers. Once again, ‘Live at the Longlist’ allowed music fans, artists and industry to come together and celebrate the incredible strength and diversity of Scotland’s musical landscape. Now in its second year, the event highlighted the Scottish Music Industry Association’s commitment to championing Scottish artists and their output. Attendees were treated to an exclusive collaboration between Stina Tweeddale of Honeyblood and Carla J. Easton of TeenCanteen, who teamed up to perform tracks from each of their previously SAY Award nominated albums. Emma Pollock then gave a powerful performance featuring songs from her album ‘In Search of Harperfield’, which was Shortlisted for The SAY Award in 2016, and classics from her vast and well respected repertoire. Following the announcement, Mogwai’s Stuart Braithwaite provided an expansive DJ set to close the event. All proceeds from ‘Live at the Longlist’ were donated to Help Musicians Scotland, The SAY Award’s charity partner for 2018. The Longlist will be whittled down to a Shortlist of 10 albums – one chosen by music fans via a 72-hour online vote on sayaward.com (20th– 22nd August), and the other nine chosen by a panel of independent judges. 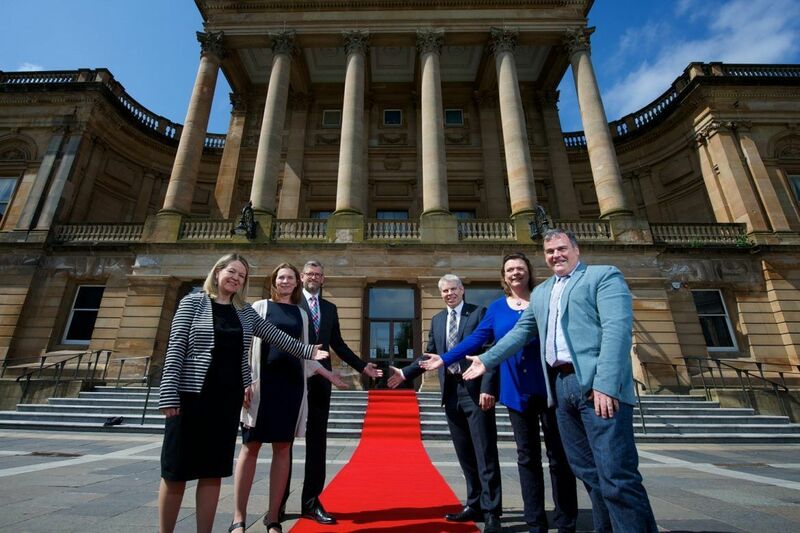 The SAY Award Shortlist will be announced on Thursday 23rd August, before the award ceremony itself takes place on Thursday 6th September in the elegant surroundings of Paisley Town Hall, with support from Renfrewshire Council. All ten Shortlisted artists will also receive an exclusively designed, commemorative award, created by the winner of The SAY 2018 Design Commission. The SAY Award is produced by the Scottish Music Industry Association (SMIA), in partnership with Paisley Is, Renfrewshire Council, Creative Scotland, Harviestoun, TicketWeb and PPL. The SAY Award is delighted to be supporting Help Musicians Scotland in 2018, as the award’s official Charity Partner. Launched in 2012, The SAY Award celebrates, promotes and rewards the most outstanding Scottish albums released each year. Respected by artists and valued by the industry, it is responsible for a surge in musical discovery and an explosion of impassioned debate on social media. Previous SAY Award winners are Sacred Paws’ ‘Strike A Match’ (2017), Anna Meredith’s ‘Varmints’ (2016), Kathryn Joseph’s ‘Bones You Have Thrown Me And Blood I’ve Spilled’ (2015), Young Fathers’ ‘Tape Two’ (2014), RM Hubbert’s ‘Thirteen Lost & Found’ (2013) and Bill Wells & Aidan Moffat’s ‘Everything’s Getting Older’ (2012).